Workshops for all of you that feel a desire to play and live more freely, spontaneous and creative. 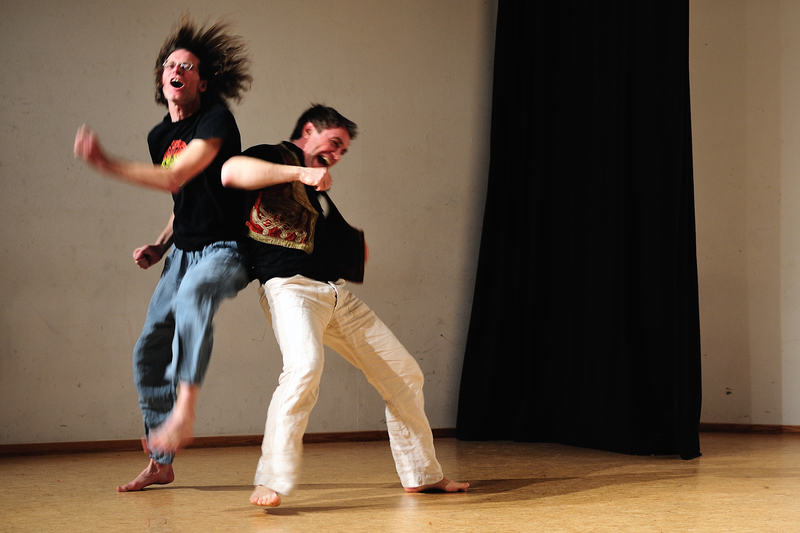 This workshop is an introduction into the Art of Play & Improvisation. Playing from `no-thingness´, from the empty space of unlimited possibilities. The adventure of the fool leads us back to the source of our creativity, aliveness and childlike innocence. It is a chance to remember those parts of ourselves that got lost while growing up, trying to fit in and adapt to social and cultural normalities. Through movement, dance and drama we learn to become more aware of the social roles and masks we are playing. For once we can take them not as seriously as we are supposed to do by society and authority. We get to know our identifications and create space to not confuse them with who we truly are, playing consciously with them. Fools play with stories and dramas we all know but pretend not to. As in the story of ` The emperors new clothes´ it needs a child or a fool to speak out what is true for all. A play appears that shows the audience a mirror. It is more than pure entertainment and gives us the freedom and permission to laugh about all those silly rules we have forgotten we follow. The play gives us a chance to reflect if these rules still make sense to us or if it is time to change them. she has been my teacher for many years and feel very grateful for all that I have been learning from her!